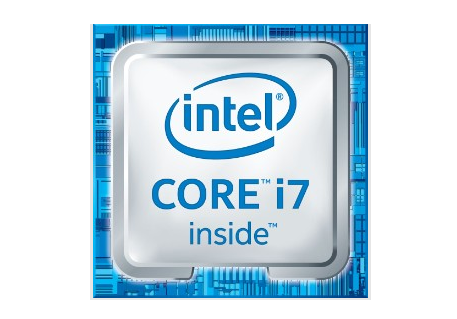 Intel introduced its 6th generation, "Skylake" Core processor family designed for desktops, 2-in-1s, mobile workstations and ultra-mobile compute sticks. Intel said the new devices, which are built with 14nm manufacturing process, deliver up to two and a half times better performance, triple the battery life, and graphics that are 30 times better for seamless and smooth gaming and video experiences versus the average 5-year-old computer. "6th Gen Intel Core processors deliver some of the most significant advancements in computing that we've ever seen," said Kirk Skaugen, Intel senior vice president and general manager of the Client Computing Group. "New 6th Gen Intel Core-based systems are more responsive than ever with enhanced performance, battery life and security. And they can enable amazing new PC experiences like logging into your computer with your face and having a personal assistant respond to your voice. The combination of 6th Gen Intel Core processors, Windows 10 and beautiful new systems from PC manufacturers make this the best time ever to buy a new computer." Intel plans to deliver more than 48 processors in the 6th Gen Intel Core processor family, featuring Intel Iris and Iris Pro graphics, as well as Intel Xeon E3-1500M processor family for mobile workstations and 6th Gen Intel vPro processors for business and enterprises. 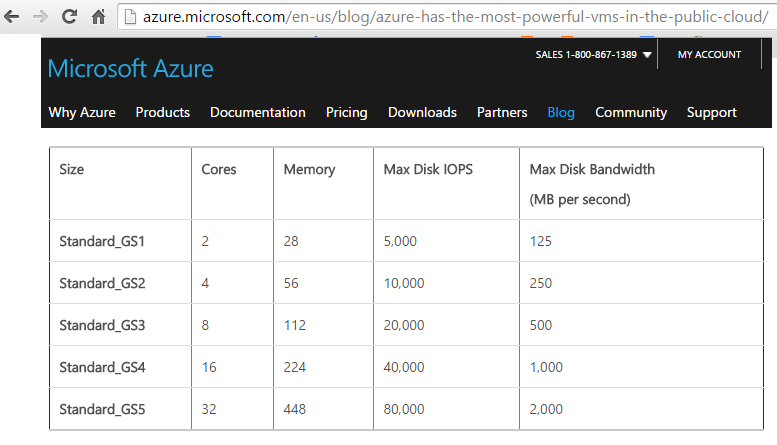 Microsoft announced the Azure GS-series of virtual machine (VM) and premium storage types designed to run the most demanding storage and compute-intensive workloads in the cloud. The new GS-series combines the compute power of G-series with the performance of premium storage. Powered by the Intel Xeon E5 v3 family processors, the GS-series can have up to 64TB of storage, provide 80,000 IOPs (storage I/Os per second) and deliver 2,000 MB/s of storage throughput. The GS-series offers the highest disk throughput, by more than double, of any VM offered by another hyperscale public cloud provider. Furthermore, both the G-series and GS-series offer up to 20 Gbps of network bandwidth, more than double that of the closest VMs of any hyperscale public cloud provider. Microsoft also announced a new diagnostic capability for VMs – the ability to see serial and console output from a running Virtual Machine. This will help customers diagnose VMs that may be suffering from boot or runtime failures. In addition, Microsoft introduced Azure Service Bus Premium Messaging, a new Service Bus tier that provides all the messaging features of Azure Service Bus queues and topics with predictable, repeatable performance and improved availability. Unlike the multitenant model used by basic and standard Service Bus tiers, the premium tier uses a micro services model to provide resource isolation and consistent performance. The data center Ethernet switch market posted strong growth in the second quarter of 2015, according to a recent report from Crehan Research Inc. The firm reported that revenues and shipments both grew by more than 10 percent, helped by strong increases from 40 gigabit Ethernet (40GbE) and 10GBASE-T (10 gigabit-over-copper). “We continue to see more 40GbE data center switch deployments, especially from the hyper-scale cloud market segment," said Seamus Crehan, president of Crehan Research. "At the same time, we are also seeing strong adoption of 10GBASE-T from both the enterprise and tier-2 cloud service provider segments," he added. HP Networking saw the strongest quarter-over-quarter data center Ethernet switch revenue growth, while Arista Networks saw the strongest year-over-year growth. Cisco maintained its market share leadership position, accounting for almost 60% of total data center Ethernet Switch revenue. 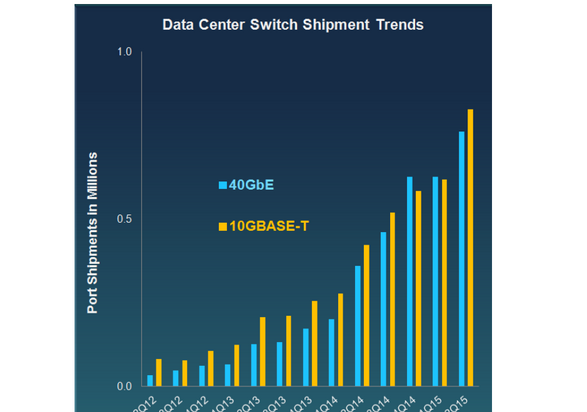 While all data center Ethernet switch types saw strong shipment growth in 2Q15, the Modular segment had the largest increase. 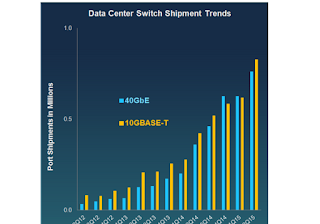 Infiniband switch shipments nearly doubled year-over-year, resulting in a record quarter. In contrast with Ethernet and Infiniband, Fibre Channel switch revenue and shipments declined, both sequentially and year-over-year. Although 40GbE data center switching is currently growing at a rapid rate, with shipments more than doubling year-over-year, Crehan’s last long-range forecast report noted that the impending arrival of low-priced 100GbE-capable data center switches could significantly slow down this growth, especially in the hyper-scale cloud segment. Verizon Telematics launched hum, an aftermarket vehicle technology and subscription service that enables drivers on the road to make their car smarter through a simple solution regardless of their wireless service provider. Incident Alert & Emergency Assistance notifies the hum emergency response center if the system detects an incident. Help will be dispatched to the vehicle’s GPS location if an accident is confirmed or if there is no response from the driver for additional support. Drivers can also initiate a call at the push of a button to speak with a trained, live agent. 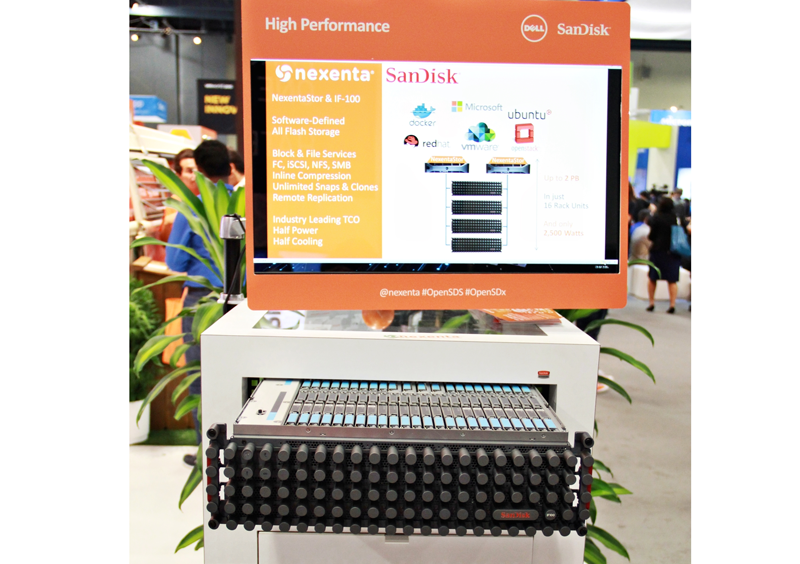 Nexenta's flagship software-only storage platform has been integrated with SanDisk’s all-flash InfiniFlash IF100 system. The integrated system monitoring and event management capabilities of the new solution, eases system management which ensures a better customer experience. 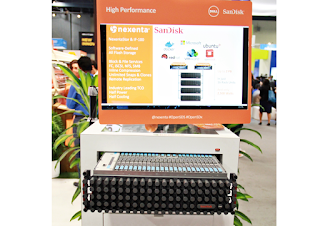 NexentaStor’s ability to support block and file services allows customers to address use cases such as: VMware vCloud Air, OpenStack and CloudStack backend storage, generic NAS file services and Home Directory storage, etc. 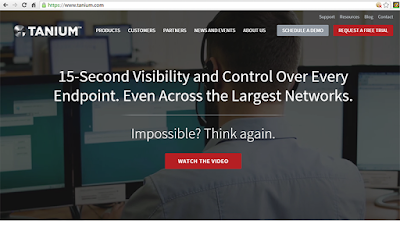 Tanium, a start-up which offers an endpoint security and management solution, secured $120 million in additional financing from TPG, Institutional Venture Partners (IVP) and funds and accounts advised by T. Rowe Price Associates, Inc., alongside existing investor Andreessen Horowitz. The company is based in Emeryville, California. Grew bookings by over 250% in Q2 over the same quarter last year. Increased the number of transactions over $1 million by over 100% in the first half over the same period last year. Added a record number of new names to its customer roster, including hallmark brands across the financial services, retail, healthcare, technology and government vertical markets. Now used in production in over half of Fortune 100 companies. Expanded operations to EMEA and Asia Pacific to better support Global 2000 customers, establishing regional headquarters in London, Sydney and Tokyo. Opened its Washington, D.C. office to better support the company’s rapidly growing public sector footprint. Released Tanium Endpoint Platform 6.5, including four product modules that provide new ways to address a variety of security and IT operations challenges including threat detection, incident response and forensics, and patch management. Added some of the best security and IT minds in the industry to the Tanium team, including private sector incident response experts and former government special agents who worked on some of the most high profile post-breach investigations across both the private and public sectors. In March 2015, Tanium announced that Andreessen Horowitz invested an additional $52 million in the company. This subsequent investment in Tanium is a follow-up to Andreessen Horowitz’s initial financing of $90 million in May 2014. Verizon adopted a new logo. The company said the new look is more than just the logo as it reflects a new "renewed purpose" at the company -- the promise of the digital world. Verizon said the new brand identity "takes the best elements of Verizon’s heritage, represented by its colors and the Verizon “checkmark,” and transforms them for a new era. At its most basic level, the new logo is a visual statement that honors our history and reflects an identity that stands for simplicity, honesty and joy in a category rife with confusion, disclaimers and frustration. It’s a cleaner, more human design and the checkmark, the universal symbol for getting things done, uniquely expresses the reliability of Verizon." Metaswitch Networks named Martin Lund as its new CEO, replacing John Lazar, who will remain at Metaswitch as chairman of its board of directors. Lund joins Metaswitch from Cadence Design Systems, where he has served as senior vice president and general manager of the company's IP Group since 2012. Prior to that, he held a number of top management positions during a 12-year tenure at Broadcom, including senior vice president and general manager of the Network Switching Business. He earlier served in engineering leadership roles at Intel. Lund holds a degree in electronic engineering from Frederiksberg Technical College and Risø National Laboratory at the Technical University of Denmark in Copenhagen.